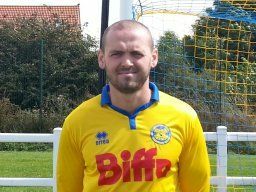 Michael Dunwell has added to his squad this week with the return of James Crossman to the Club. Jambo enjoyed a successful year last season with the Club helping Stockton to the clean sweep of Trophy’s. At ease anywhere across the back line Jambo brings Northern League experience and versatility to the squad that will be invaluable as we seek promotion to the Northern League. James Crossman returns to the Club to help us in the run as we look to achieve promotion.